$285. Vintage antique full length gilt trim mirror, c. 1950. 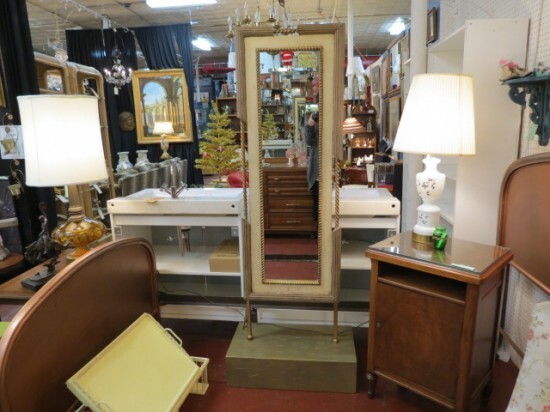 Unusual full length mirror on stand. Gilt wood rope trim around the mirror. Painted gold ribbed frame with twisted gilt metal decoration. Painted cream in between. Gilt metal legs. Gold painted stand. Perfect for your French style bedroom. Very good condition. 26in wide, 14.5in deep, 70in tall.